Source: Thanks so much to Sourcebooks for providing me with an arc copy to review. It was amazing! 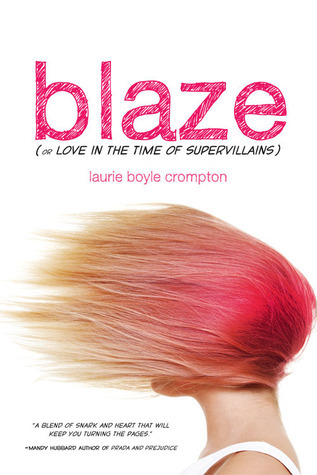 I have wanted to read Blaze, formally known as Fan girl, since I first found out about it. Ahh Okay so I used to have a little teensy comic obsession when I was in about 5th or 6th grade though I never looked at any superhero stuff. Reading this, makes me want to go make into that comic obsession. Seriously. First, this book starts off kind of as a romance. As her budding romance with Mark, progresses it unfortunately shatters and Mark becomes... well a shark. Hence is name, Mark the Shark. At first, I kind of really liked Mark,being the hottie coach to her brother’s team and the flirting, but then I really started to dislike him. He became an argent high school boy trying to get with girls. He came off as nice until he got what he wanted and totally starting dissing her. P.s. I promise I’m not spoiling anything this is in the summary. Blaze is the kind of girl who is nerdy and geeky, but doesn’t mind being invisible for the most part until she meets Mark. 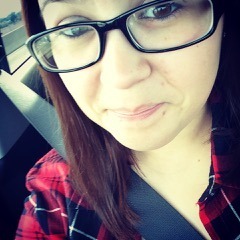 She really has to overcome her obstacles of finding herself once more. She tries to change and does things to try to get Mark’s attention, which quite honestly got aggravating at some point because she was being something she’s not and I was routing for her to succeed, but it wasn’t unbearable because I really liked Blaze. Towards the end my heart lightened up and I was supper proud of Blaze. She morphed into a strong, protagonist and really found herself in a sense. I think this is an awesome sorry. The fact that it involves friendship, relationships, family, and comics, is amazing and makes it one interesting story you won’t want to miss. So, be sure to catch Blaze and her hectic life in this coming of age story as she battles her way through her intertwining worlds – reality and comics. * SourceFire Books has given me one arc copy for a fair and honest review of this book. I was in no way compensated for my review.